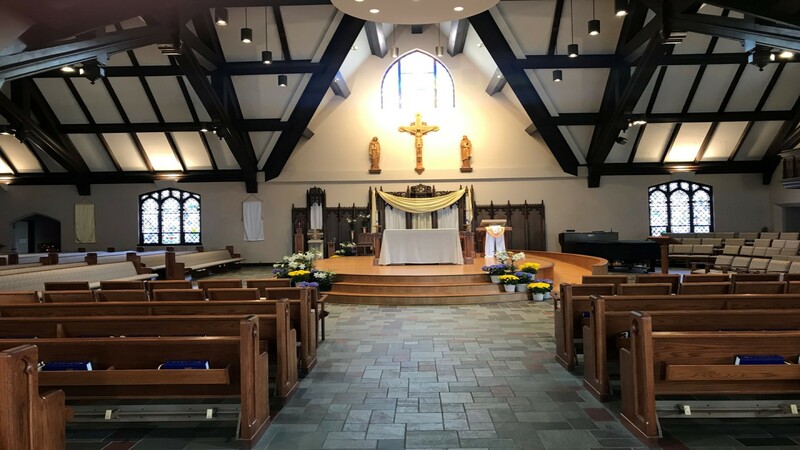 The ability for some of our parish community members to attend Mass is disrupted by temporary or prolonged health concerns, recovery from an accident or surgery, or on a more permanent level because of disability. St. Margaret Mary parish wants persons in these circumstances to know that you remain a valuable and beautiful member of this parish family. We understand that communal prayer and reception of Jesus present in Scripture and the Holy Eucharist are vital to your spiritual, emotional and physical healing. What if I reside in an assisted living facility or nursing home? Trained parish volunteers lead small groups of Catholics who live in retirement communities, group homes, or area care facilities, in a Liturgy of the Word service with Holy Communion. Island Shores and Valley VNA have Catholic Mass scheduled once a month provided by Fr. Dennis, our pastor. Trained volunteers from local Catholic parishes visit the hospital daily. Talk with your nurse, social worker or hospital chaplain to arrange a visit for prayer and reception of Holy Communion. Trained parish volunteers will make an appointment with you for a one on one visit with prayer and reception of Holy Communion in your place of residence. What do I have to do to receive this ministry? Call Ellen Mommaerts in the parish office at 920-729-4560 or email [email protected] and make us aware of your needs.